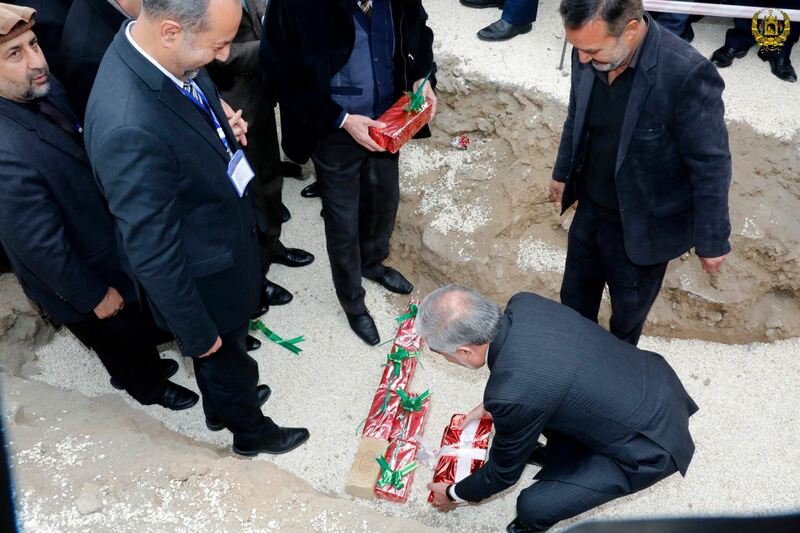 Dr. Abdullah Abdullah, Chief Executive of the Islamic Republic of Afghanistan laid the foundation stone of the first cancer diagnostic and treatment center on Saturday morning (Dec. 9, 2017) at Aliabad Teaching Hospital of Kabul University. The center for cancer diagnosis and treatment is being developed with the help of the International Atomic Energy Organization at a cost of $ 27 million. According to the officials, this center would be developed throughout Afghanistan and would deliver services to all residents of the country. 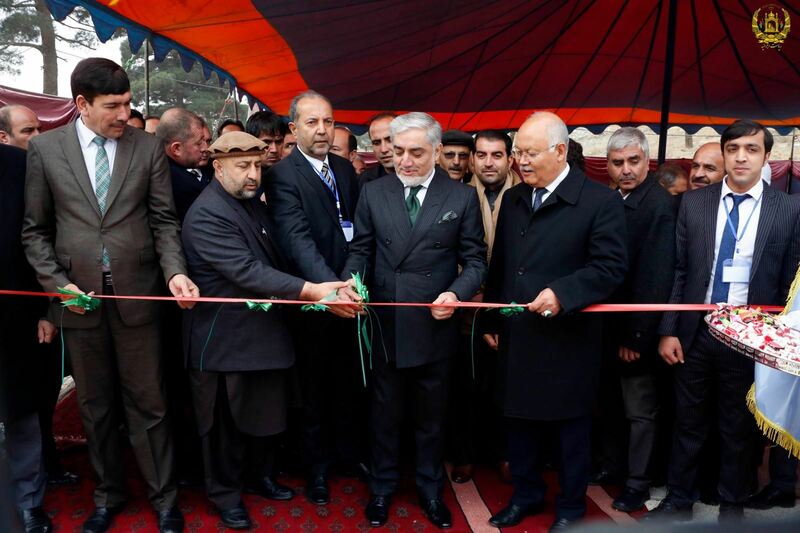 At the opening ceremony of the center, at Kabul University of Medical Sciences, the Chief Executive said that after several decades of unrest and long disruption, the center, which had been active in the past, was reopened again. Dr. Abdullah added that in 2004 we agreed on the equipping and preparation of the center with the head of the Atomic Energy Organization, but for some reasons, the construction and equipping the center had been postponed. The Chief Executive directed authorities to work to speed up the construction and equipping the Center and prevent any delay again. 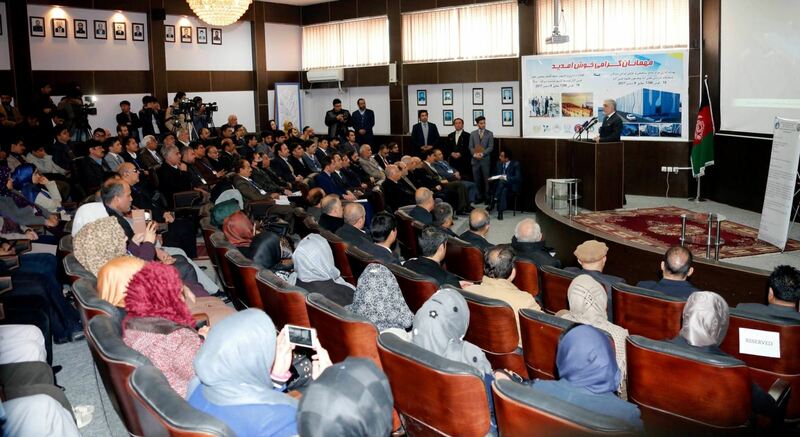 Dr. Abdullah urged Kabul University of Medical Sciences to take care to maintain the facilities of the center. The Chief Executive said that using the center for diagnosis and treatment of cancer would remove a major part of the problems of the citizens of the country, which unfortunately are wandering in the countries of the region and of the world. The Higher Education Minister said with opening of the center, the problem of thousands of citizens with cancer would be reduced to a certain extent. Mr. Khaja Omari emphasized that the academic institutions and universities of Afghanistan should be equal to regional and global standards, otherwise, we won’t achieve our goals. In this program, the Chancellor of Kabul University of Medical Sciences and the Acting Head of the Atomic Energy Organization of Afghanistan spoke about the importance and the role of the center.